Tickets are available upon entrance to the festival site and cost $20. Children ages 12 and younger are free when accompanied by a paying adult. The Virginia state park parking fee is $10 per vehicle. 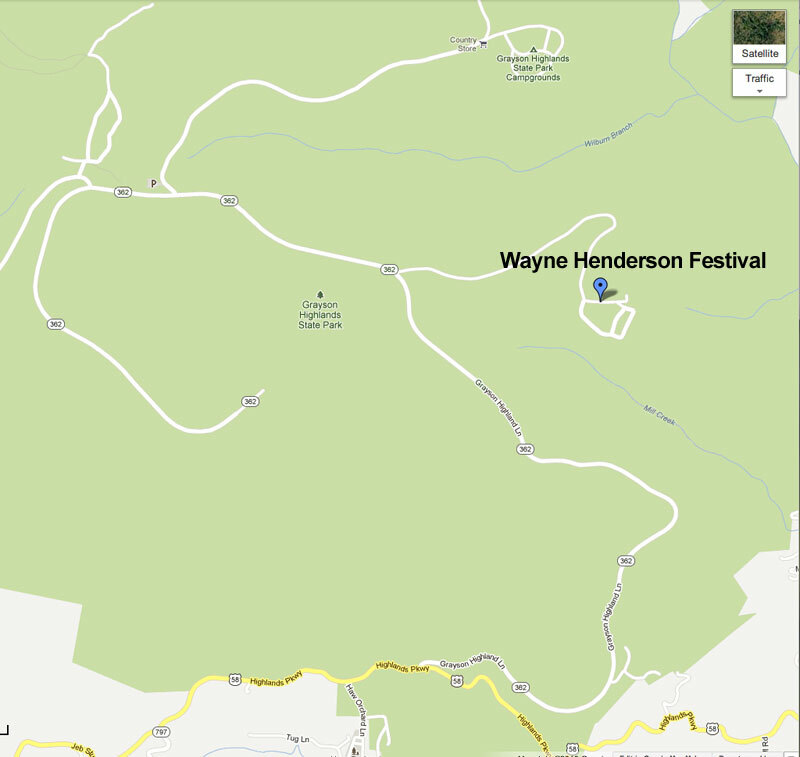 The festival is held at Grayson Highlands State Park, just off U.S. Hwy. 58 between Damascus and Independence, Virginia. The park’s website has much valuable information at www.dcr.virginia.gov/state-parks/grayson-highlands.shtml. You’ll find directions, weather and information about camping, though campsites fill up very early. The park phone is (276) 579-7092. Cell phone service is spotty, but new US Cellular towers have improved service for its customers. The park is on U.S. Hwy. 58 midway between Independence and Damascus and is reached from I-81 at Exit 45 in Marion; turn south on Route 16 and travel 33 miles to US 58 in the community of Volney. Turn right onto US 58. Travel eight miles to the park’s entrance.